Could one from our list be your next new car buy? When it comes to buying a new car, one of the first things you should do is set a budget to make sure you don't end up over-spending when you get to the dealership. The next big decision, choosing which car to buy, can be just as challenging as there are so many new cars to consider you'll be spoilt for choice. To help, we’ve picked our top 10 cars you can buy with a £15,000 budget in 2015 plus the trim options and engines to consider. Also - If you're interested in leasing instead of buying outright, don't forget to check out the Parkers Leasing section to view the latest deals. 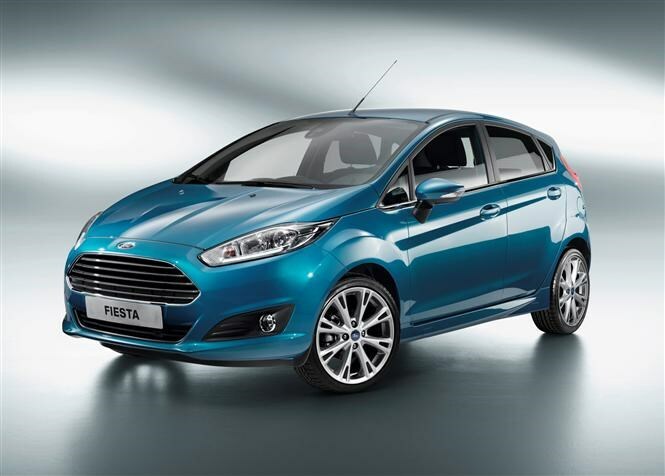 Although you can just buy a Ford Focus with £15k, kit is sparse in entry level trim so we would have to go for the Fiesta instead which will get you far more toys for your money. The award-winning turbocharged 1-litre petrol EcoBoost engine has been stealing plenty of headlines over the past few years thanks to its low CO2 emissions of 99g/km and high official fuel economy of 65.7mpg on the combined cycle. We would opt for Zetec trim too which squeezes in just under budget where you’ll get air conditioning, USB connection, electric windows, Ford’s ‘MyKey’ technology and heated windscreeen all included as standard. For just £200 extra you can also opt for the city pack which includes rear parking sensors and electronically foldable door mirrors, which we think offers very good value for money and will still bring the full price of the car under £15,000. One of the most fashionable and iconic cars of all time, the MINI hatchback is soaked in heritage here in the UK and is loved by an army of fans. We would opt for the One D which pairs the car with a 1.5-litre diesel engine which offers some impressive figures to its name including CO2 emissions of only 89g/km meaning no road tax to pay and an official fuel economy combined figure of 83.1mpg. 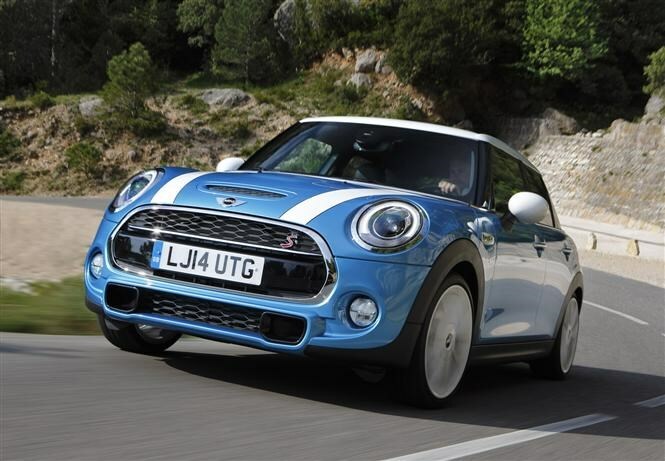 Despite it being the slowest MINI in the range with just 94bhp available and a 0-62mph time of 11 seconds, the hatch still feels light on its feet. Launched in 2014, there are plenty of mod cons featured on this MINI too with 15-inch steel wheels, DAB Radio, daytime running lights, Bluetooth handsfree connectivity, keyless start, manual air conditioning, stop/start technology and a tyre pressure monitoring system included as standard. Costing just shy of the £15,000 mark for this model, beware of expensive options though which will soon see the price jump up. 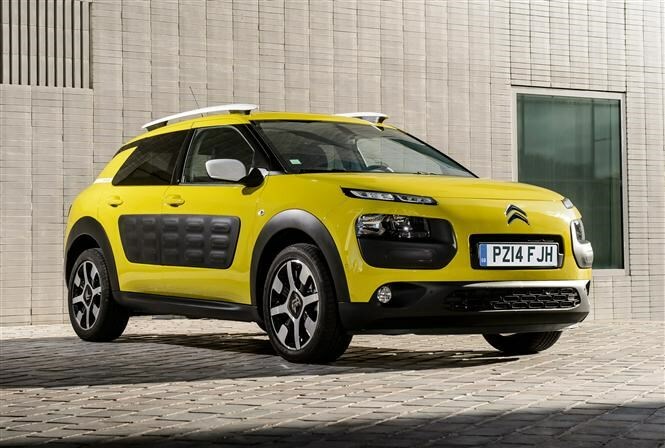 One of the most interesting cars to be launched in 2014, the Citroen C4 Cactus certainly turns heads. Its distinctive looks, those unique air bumps and practical cabin has helped Citroen's funky new crossover gain quite a few fans since it was unveiled at the Geneva Motor Show. With £15,000 in your back pocket you can move up to mid-range Feel trim which will get you 16-inch alloy wheels, seven-inch touchscreen, DAB radio, air-con, cruise control with speed limiter, LED Daytime Running Lights, Bluetooth connectivity and gloss black detailing as standard. When it comes to engine choice the1.2-litre PureTech 82 petrol fits within your budget nicely and offers some compelling running costs with an official fuel consumption figure of 61.4mpg and CO2 emissions of 105g/km. It’s not the quickest car in the world though with only 82bhp on offer and 118Nm of pulling power enabling the car to sprint from 0-62mph in 12.5 seconds. Although more than adequate for city living, if you need more power it may be worth paying more for the PureTech 110 option with 108bhp and 205Nm of torque. 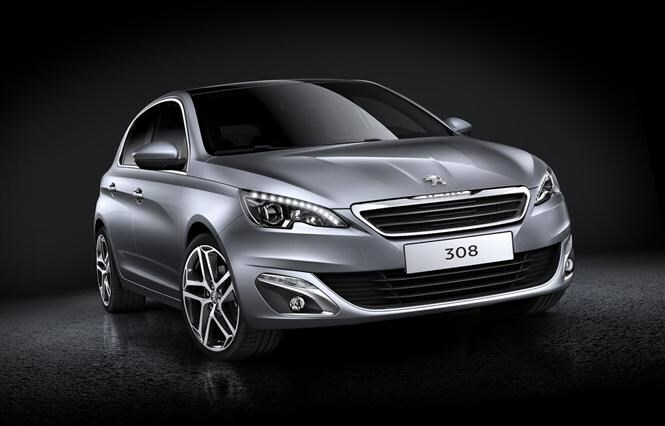 If you’re looking for value for money then the Peugeot 308 offers one of the best packages around. 2014’s European Car of the Year winner, the Peugeot 308 has an uncluttered and modern interior and scores well with us for practicality and comfort. Picking the lower powered 82bhp 1.2-litre petrol engine will keep you within the £15k budget which offers an official combined fuel economy figure of 55.4mpg and CO2 emissions of 117g/km. But like the Cactus above, if you need a car which offers more performance you’ll need to pay more for a more powerful option in the range. Even in entry-level Access trim, standard equipment is pretty good with Bluetooth, DAB Radio, electric windows, LED rear lights, cruise control and air-con included. Just scrapping under budget is Kia’s Ford Focus rival - the Ceed. 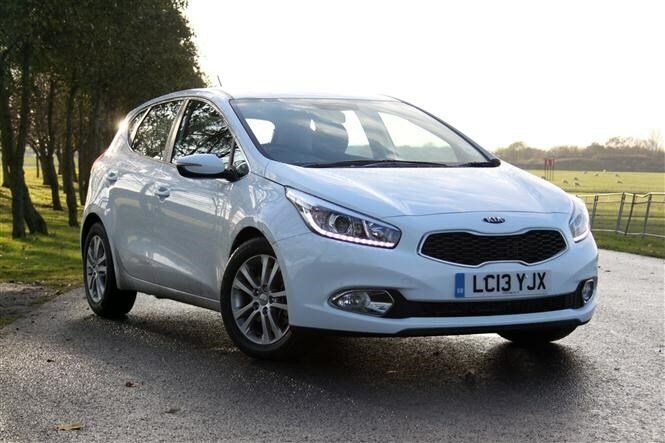 The latest model was launched in 2012 and its striking looks and good levels of practicality has helped it to become one of Kia’s biggest sellers here in the UK. Available in six trims, even the entry-level model comes well-equipped with air-con, Bluetooth, heated door mirrors, electric windows, 15-inch wheels, six speakers, USB port and roof rails as standard. Let us not forget that all Kias come with an excellent seven year transferrable warranty too. The 1.4-litre petrol fits within our price range and offers 98bhp and 137Nm of Torque which enables the car to sprint from 0-62mph in 12.4 seconds. Mated to a six-speed manual gearbox fuel economy is a little disappointing though with an official combined figure of 47.1mpg, while CO2 emissions are high for its class at 139g/km. 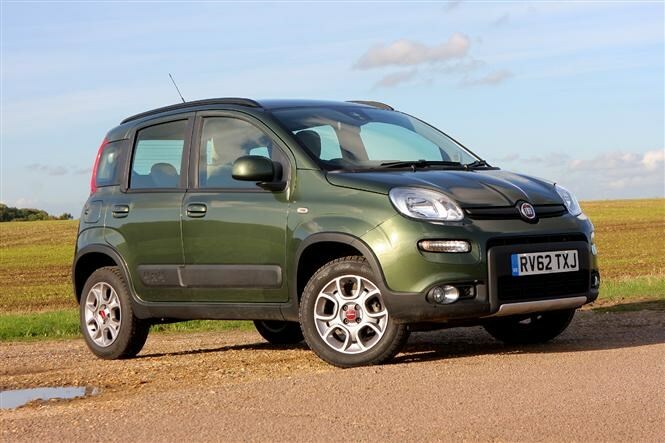 The Panda 4x4 will certainly not be everyone's cup of tea but if you’re in need of a car with all-weather capabilities accompanied by city car proportions and a dose of modern retro styling then there are few cars that can compete. Off-road the car impresses and driving around city streets the Panda 4x4 excels too, proving that you really can have your cake and eat it. There is a choice of two engines - a 0.9-litre TwinAir petrol or a 1.3-litre Multijet diesel. The petrol option will keep you in budget and offers an official fuel consumption figure of 57mpg and CO2 emissions of 114g/km. It’s not the most powerful engine in the world though but what the car lacks in outright pace it makes up for with bags of character. 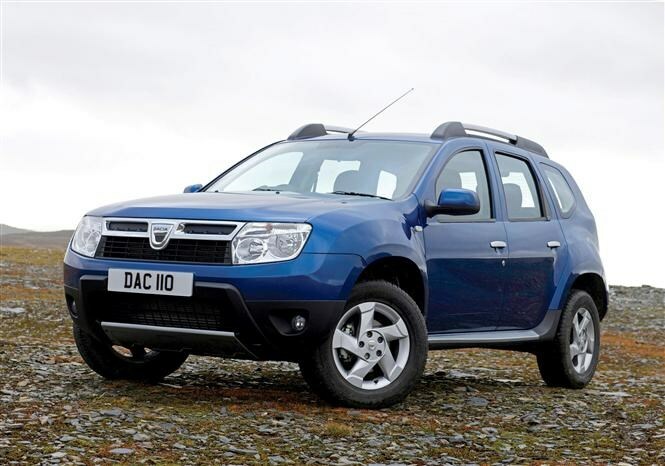 If you’re looking for a budget car that offers real value for money then you need to look no further than Dacia. The Duster may not be the most exciting car to look at or in fact to drive but the price alone will keep you smiling every day during your commute. Available in two- or four-wheel drive with either a petrol or diesel engine – both of which are already available in the current Renault line-up - the Duster gets a big tick for practicality too. So it’s really a decision between a top-of-the-range Duster with all the bells and whistles for £15,000 or buying the entry model for under £10,000 and booking an exotic two week holiday with the remainder of the cash. Since the SUV market exploded a few years back we’ve seen a raft of new crossovers and small 4x4s enter the marketplace. 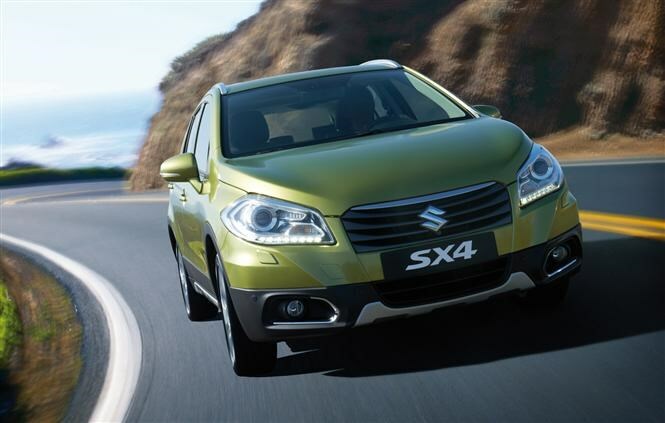 Here is Suzuki’s offering, the SX4 S-Cross, which offers value for money and a good drive thanks to the chassis being based on the excellent Swift hatchback. The entry level SX3 comes with front and rear armrests, cruise control, electric windows, stop/start technology, daytime running lights, air-con, USB port, four speakers and 16-inch alloy wheels as standard. Under the bonnet is a 1.6 Petrol FWD engine paired with a five-speed manual gearbox which offers 118bhp and 156Nm or pulling power enabling the car to accelerate from 0-62mph in 10.6 seconds. Running costs are pretty good too, with an official combined fuel economy of 51.3mpg. 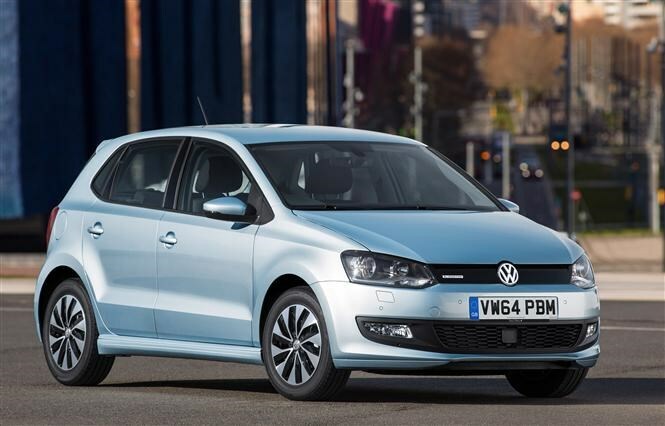 Volkswagen’s popular Polo was given a facelift in 2014 which brought with it styling tweaks inside and out and upgrades to technology. Claiming plenty of the headlines in 2014 was the arrival an all-new ultra-efficient 1.0-litre petrol BlueMotion engine. Low running costs are the name of the game here with an official fuel consumption figure of 68.9mpg and CO2 emissions of only 94g/km. For £14,730 you get plenty of kit as standard too including DAB radio, USB port, 15-inch alloys, air-con, front centre armrest, infotainment system, cruise control and Volkswagen’s Driver Alert System. 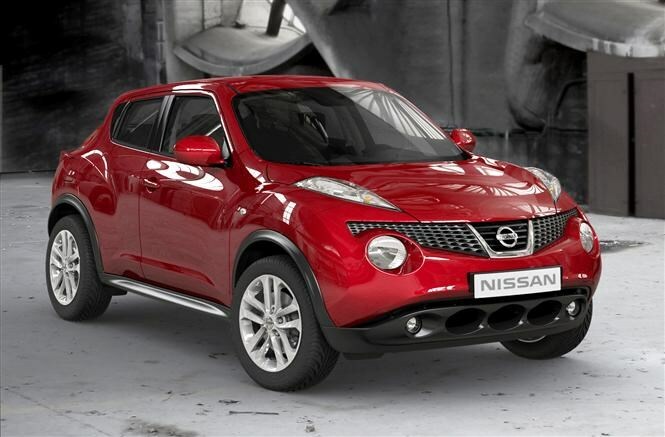 One of the most distinctive cars in our top 10, the Nissan Juke has been a huge success for the Japanese manufacturer. People just love its creative styling, high riding position and value for money packaging. In entry-level Visia trim, air-con, electric windows and 16-inch alloy wheels are offered as standard, if you need more toys like Bluetooth and climate control moving up to Acenta trim will just take you over budget. There is just one engine choice available with Visia trim and that is a 92bhp 1.6-litre petrol that offers an official fuel consumption of 47mpg and CO2 emissions of 138g/km. It’s not the quickest car in the world but should have enough power to deal with city life comfortably.